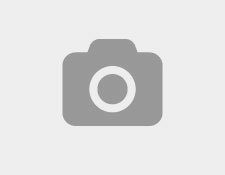 Need materials or equipment to your jobsite? We've got you covered! 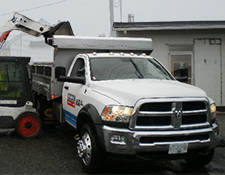 Our skilled drivers deliver bulk materials from our Sand & Gravel Mart, landscaping supplies such as paving stones or wall blocks, and rental equipment of all sizes throughout Central Vancouver Island. We also offer back-hauling services to our Landscape Recycling Centre to help get rid of the yard waste on your site. No matter what you need, you can trust our fleet of delivery vehicles to keep your project going. To book a delivery or pick-up, give us a call at (250) 758-2401. Bulk Material Delivery RatesSand, gravel, and organic materials. 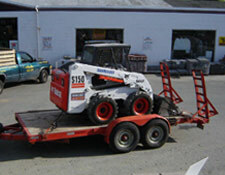 Rental Equipment Delivery RatesLight and heavy-duty rental equipment. Delivery rates above are per trip. For delivery and pickup, two delivery fees apply. Palletized Goods Delivery Rates Paving stones, retaining wall blocks, concrete forms, and bagged products. Back-Haul Delivery Rates Have us haul your dirt or garden waste back to Sharecost. If we have just made a delivery to your site, we can back-haul dirt or garden waste to our Landscape Recycling Centre at the rates listed above. If we're not already making a delivery to your job-site but you'd still like us to pick up material, no problem! Just pay our hourly trucking rates and we'll send a driver over. Customer must provide a machine on site with high enough reach to load our truck. Regular fees for dirt and garden waste disposal apply in addition to back-haul rates. See Landscape Recycle Centre page for disposal rates. We allow for 1/2 hour for loading time at the delivery site before hourly trucking rates apply. We do NOT back-haul: concrete/asphalt; boulders larger than 1x1x1'; mixed loads of yard waste and dirt; soupy mud. This truck is on the road every day that we’re open and can usually manage same-day delivery. Also, If you book more than one delivery "back-to-back" with this truck, we offer a reduced delivery fee on every second trip. For slightly larger loads, we now offer a medium-sized 5-tonne Hino dump truck. This truck is available every day that we’re open, and also offers reduced rates on sequential same-day deliveries that are booked at the same time. For large loads, our 14-tonne truck can haul roughly 10-11 yards or sand or gravel, or approximately 15 yards of soil or mulch. It is available for delivery of single loads or for hourly trucking, Monday-Friday. 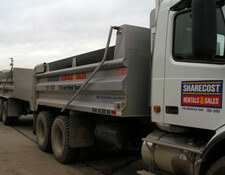 Bulk prices are available: view our Sand & Gravel Mart for specific pricing details. Big residential and commercial landscape jobs require big deliveries. For really heavy loads, we can move up to 12 pallets (16 tonnes) of palletized goods in a single delivery for you. We also unload on your job-site with the help of our all-terrain forklift, allowing us to place pallets where you need them, minimizing your wheel-barrow work. Let our machinery do the heavy lifting for you! On top of our bulk products, we also deliver rental equipment of all sizes, such as our Bobcat loaders, our trencher or stump grinder, lawnmowers or dethatchers. Need supplies? 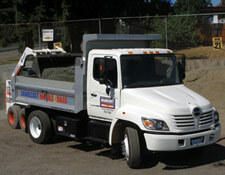 We also have light- and medium-duty pick-up trucks to deliver landscape or construction materials, such as forms, tie bar, paving stones, or retaining wall blocks, to your jobsite anywhere on Vancouver Island. “How about now?” is not an uncommon phrase at Sharecost. While we can’t always promise instant delivery, we’re really fast, and rarely need more than a few hours notice. It depends on how steep your driveway is, what you need, and how much you need. If we think it’s going to be tricky, we can send a runner to check it out before we load up the trucks. Definitely. We offer delivery and competitive pricing on large volumes of sand and gravel via our tandem-axle dump truck. View the centre column of this page for delivery rates and capacity details; view our Sand & Gravel Mart for pricing. We have to charge a delivery fee to cover commodities like fuel, but we also need to pay for the time and skilled labour required to safely load our vehicles, even if you’re located one block over. You can use our simple bulk material calculator to calculate the amount of material you'll need, or call or staff at (250) 758-2401 and we can work it out for you. 18' x 18' x 1"
24' x 12' x 1"
12' x 12' x 2"
10' x 10' x 3"
20' x 5' x 3"
10' x 5' x 6"
Phone us anytime at (250) 758-2401 or visit our store at 1716 Northfield Road in Nanaimo, BC to set up your delivery today.